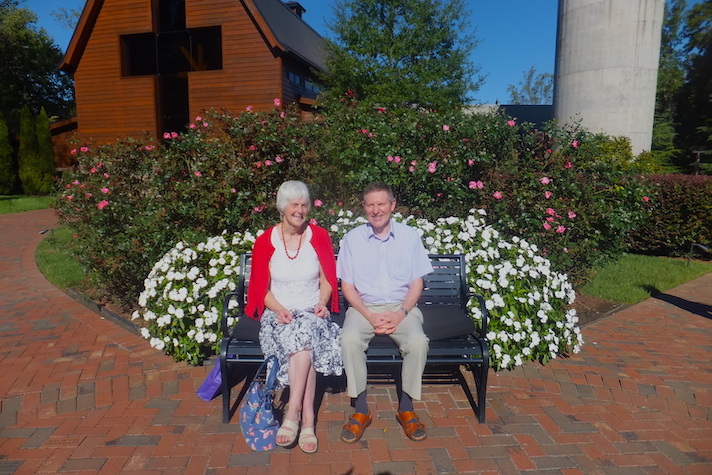 George and Ann Wright traveled to Charlotte, North Carolina, in the fall of 2018, specifically to visit the Billy Graham Library. The Wrights wanted to pay homage to Billy Graham and his calling to share the Gospel with as many people as he could. People come to the Billy Graham Library for many reasons—and from all over the world. In 2018, more than 170,000 people visited and over 126,000 people took the Journey of Faith tour. More than 750 people made first-time decisions for Christ, and over 900 others recommitted their lives to Him. Guests came to the Library from 74 countries last year—as far away as Myanmar, Botswana, and the United Arab Emirates. One couple made a particularly special trip to study the life and ministry of Billy Graham. 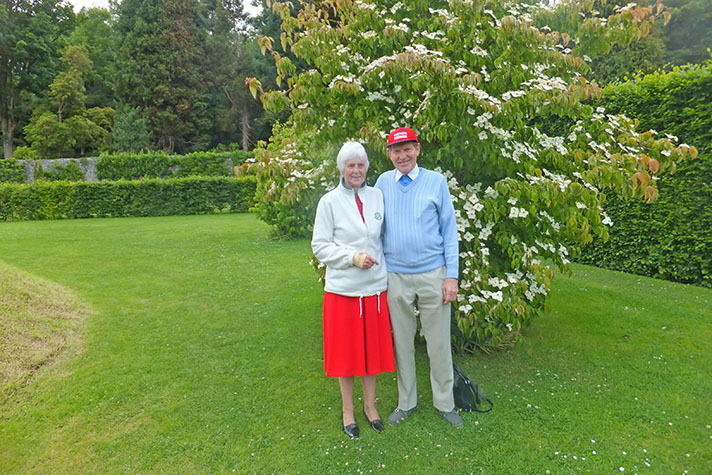 George and Ann Wright left their small village north of Belfast, in Northern Ireland, headed for Charlotte, North Carolina. “Ann and I came to America for one reason, and that was to visit the Billy Graham Library,” George said. The Wrights found the Library captivating—not because of Billy Graham but the message he preached for nearly seven decades. Since he was 15, George has been interested in what this outspoken preacher from North Carolina had to say. He was among thousands who heard Billy Graham tell of God’s love for them at a football stadium in Belfast in 1961. George had committed his life to Christ a year earlier and found his faith was encouraged by the ministry of the Billy Graham Evangelistic Association (BGEA). George also began listening to the weekly Hour of Decision on Radio Luxembourg. At 18, he boldly asked permission from his “rather strict” church to show a Billy Graham film. A while later, George took a train to London to hear Billy Graham preach in Earl’s Court and started receiving Decision magazine, published by the BGEA. He heard the evangelist preach once more in Belfast in 1972, during tumultuous times in Northern Ireland. “Almost every day there were shootings and bombings,” he said, referring to territorial fighting between groups. George’s faith remained steadfast, and he became a messenger of God’s love. In 2006, he received a “Steps to Peace with God” tract from BGEA and realized it would be a great evangelism tool. Over the years he’s ordered a few hundred to give to people in his path—shopkeepers, strangers, etc. George even handed out quite a few in and around Charlotte during his trip. The couple’s connection to the Library didn’t end when they flew back to Ireland. George plans to create a presentation on Billy Graham’s ministry as an evangelistic outreach to Irish churches. “Billy Graham’s ministry has been a great blessing to me over the years, strengthening me in my faith and keeping me in the straight and narrow,” he said. God loves you. Find out how much. George and Ann Wright live in a village north of Belfast, Northern Ireland. Their 2018 trip to North Carolina and Tennessee was their fourth visit to the United States.